Bookworms living in Tirana know how difficult it is to find new additions to their shelves. Adrion bookshop is the main distributor, and on their bookshop in the Opera building you will find some best sellers & even some classics. But is that enough ? 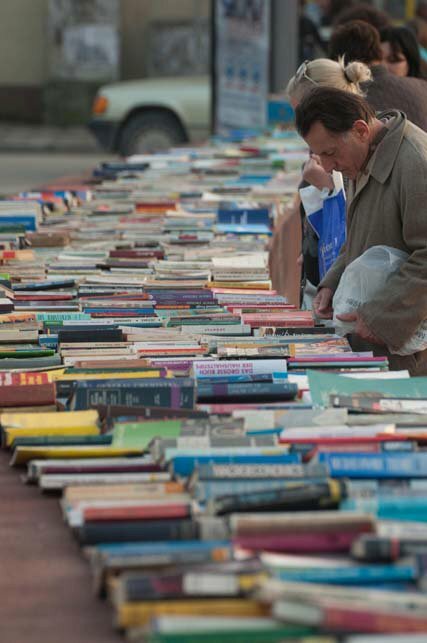 Walking down the streets of Tirana, you’ll find a handful of used books sellers scatterrd around the city. Almost all of their books are in Albanian which maked it understandable to over look them, but with a closer look you might find treasures! I found a 1984 Travel Guide to Albania, a 300 photo book dedicated to Enver Hoxha, a 1980’s book about traditional handicrafts! 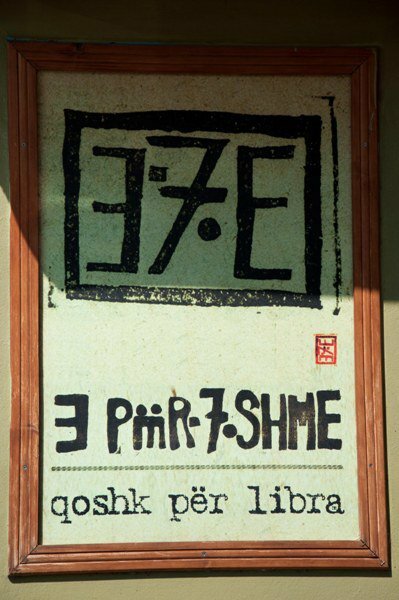 Another place where you might find interesting books is a little cafe / used-books-shop is E7e Qoshk per Libra. It is located in a small street off Rr. El Bassan from its beginning at the Lana river (it is parallel to the streets where PM Berisha lives). I really like this cafe. It has indoors and outdoors seating areas, and they have inceeased substantially their English collection. Also, there is the HUGE novels collection of the TWIG (Tirana Women International Group), displayed on the Christmas Bazar every year, with some amazing discounts! This entry was posted in Albania, Books, Photography, Tirana and tagged albania. Bookmark the permalink.